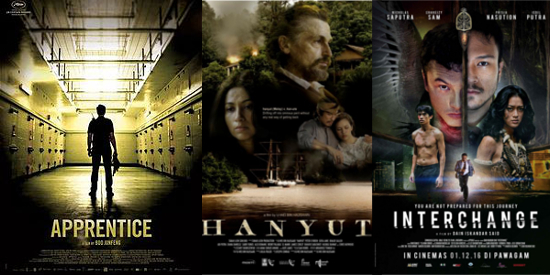 On this week’s podcast Gavin and Iain keep it relatively local, reviewing Singaporean prison movie Apprentice, Malaysian period drama Hanyut & the supernatural Malaysian thriller Interchange. Whatever we think of the end products we’d recommend you get out to see these films, to see what’s going on in the local film scene and to make sure that we still have one in future. If you’ve seen any of these films, let us know what you thought by emailing us at [email protected], tweeting us at @McYapAndFries, on Facebook or using the Contact Us form here on the site. As always the podcast is brought to you by greenroom136.com. Use the discount code in the podcast for 10% off your next purchase!